Pete Alborano remembers waiting for the phone to ring and it seemingly never came. 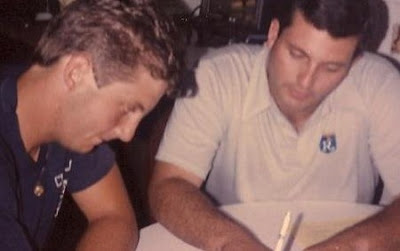 This was draft day 1986 and the Brooklyn College senior hoped he'd be drafted. The Royals had expressed some interest. The Mets, too. But, as midnight approached and no notification came, a fear came over Alborano: What if he didn't get drafted? "I'm thinking like 'What am I going to be doing now? I've got to start my life,'" Alborano recalled recently to The Greatest 21 Days. Alborano recalled the call came shortly after midnight. On the other end: Royals scouting director Art Stewart. The Royals selected Alborano in the 29th round. It just took a little bit for them to call. "I was ecstatic," Alborano recalled. "I couldn't wait. I couldn't wait to get down there to play. It was like a dream come true." 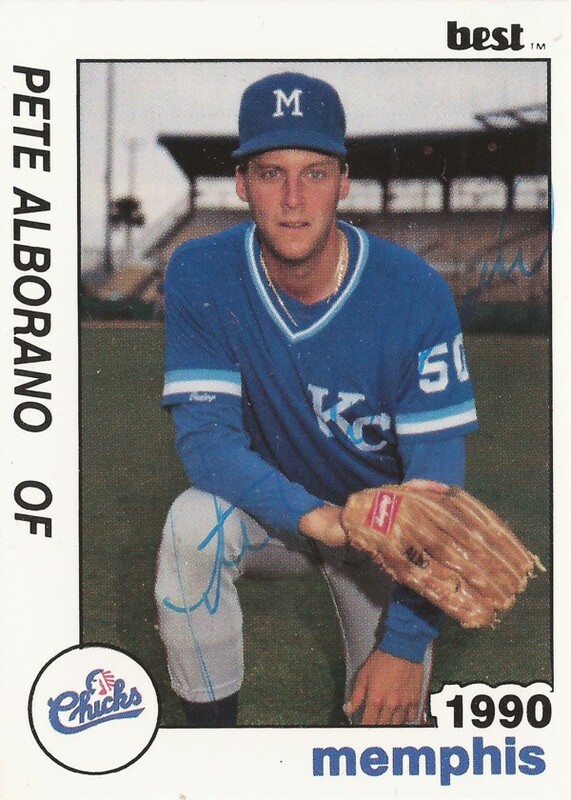 Alborano went on to play seven seasons as a pro, six of those in the Royals system. He never made the majors, but he did make it to AA for three seasons and part of a fourth. Alborano started his pro career just over a year after a pro career seemed the furthest from his mind. Early in his junior year, Alborano broke his leg on a hook slide into third against rival St. Francis College. "My cleat kind of grabbed the ground in an awkward type of way," Alborano recalled. "My body went one way and my foot stayed put. It was ugly." Alborano needed major reconstruction. He missed the rest of his junior season recovering and working to get back. He recalled being depressed at first. Then he turned to the task at hand. "There was no sense to set there and sulk," Alborano said. "You got to get back there in shape. You have to get on the field as fast as you can." "Through hard work and perseverance," Albroano said later, "I got back out on the field and I got drafted." Going into draft day 1986, Alborano had heard interest from two teams, the Mets and the Royals. He thought his hometown Mets might give him a shot. Instead, it was the Royals. 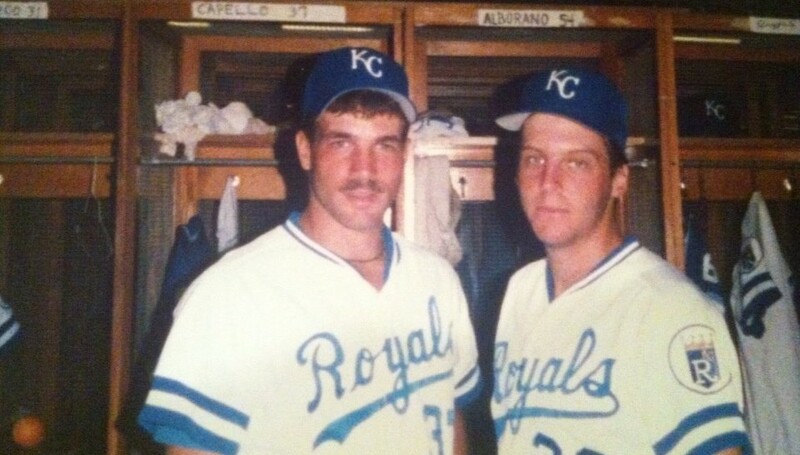 Alborano attributed the Royals' selection to scout Jim Moran seeing something in him that others didn't. He recalled Moran calling late on that draft day to see if Alborano had got a call. It took a little longer, but Alborano soon learned he was a Royal. Alborano recalled his brother took him out the next day for dinner, there was a nice party and Alborano started off for Florida. "I remember being very happy," Alborano said. 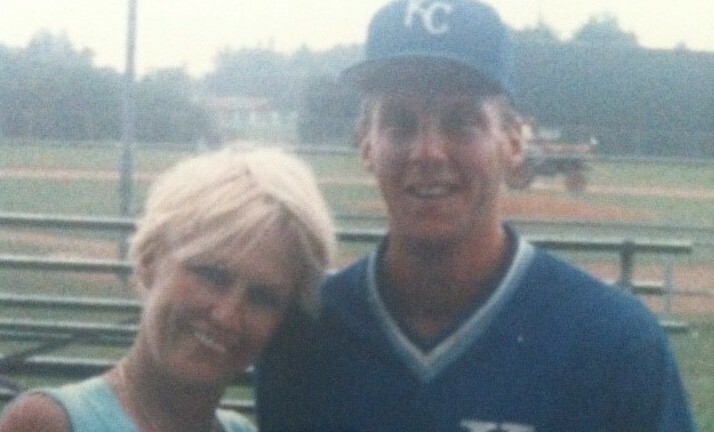 That continued through the plane ride to the Royals home in Fort Myers, Alborano recalled. "Getting picked up with a van that had the Royals logo on it," Alborano said, "I'm like, 'Wow, this is really happening?'" He had a similar reaction at the Royals' complex. Several of the coaches were former major leaguers. "That was very exciting," Alborano said. He also met his new teammates. As they started practicing, Alborano recalled feeling comfortable. "I actually felt pretty good about myself being there," Alborano said. "I felt like I belonged. I wasn't like Bo Jackson or anything, but I held my own. I felt like I had an impact." 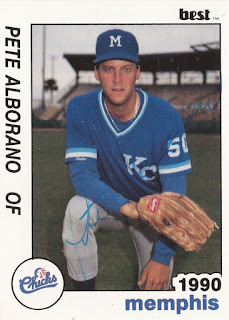 Alborano played his first season with the Royals in the rookie Gulf Coast League. He started strong with a home run in his first official at bat, after walking in his first plate appearance. Overall, Alborano got into 45 games for the GCL Royals and hit .277. That home run ended up being his only homer on the year. "I didn't hit many home runs," Alborano said. "For a guy who was 180 pounds, I think I was still learning my way around with my stroke." By the time he thought he started figuring things out, he recalled, his career ended. Alborano moved from the Gulf Coast League in 1986 to Eugene, Ore., and the short-season Northwest League for 1987. 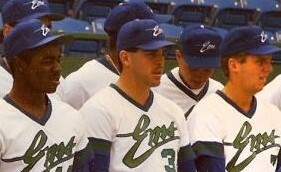 A highlight of that year at Eugene, Alborano recalled, was playing against future Hall of Famer Ken Griffey, Jr., who played for rival Bellingham. Alborno's own highlights were limited. He stayed there the entire season, but he saw time in only 30 games. Alborano recalled his manager Rick Mathews doing what he could for him, but a good number of the at bats at Eugene got taken up by higher draft picks. Still, Alborano hit .294. "I did very well with the role they wanted me in," Alborano said. "Who knows, if I would have started, what I would have done?"